Capt. America: Sorry Buckey but I must get the Batman TV DVD box set! Bucky: Please dont take it away, I promise I wont go sledding on your shield anymore! Cap: That’s the last straw mister, I am gonna tell on you to Santa. Bucky: Wait! I can’t go out in public like this! 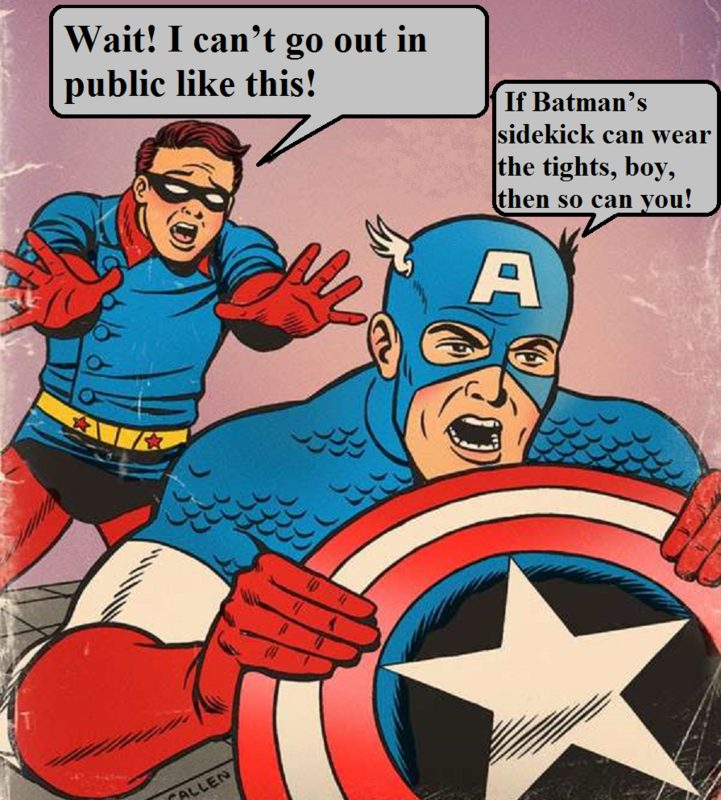 Captain America: If Batman’s sidekick can wear the tights, boy, then so can you! Bucky: Cap, I’m sorry,but i did’nt know what else to do.! Cap:Thats it, Bucky were through! I’ve told you and I’ve told you, My shield is not to be used as a pizza dish. C: You can sit in Santa’s lap another time.